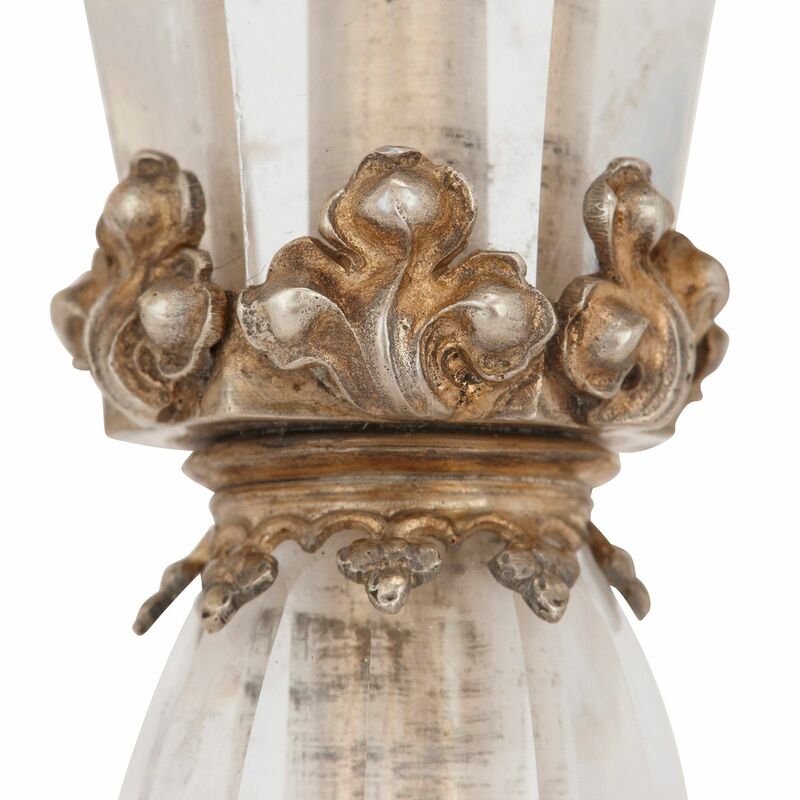 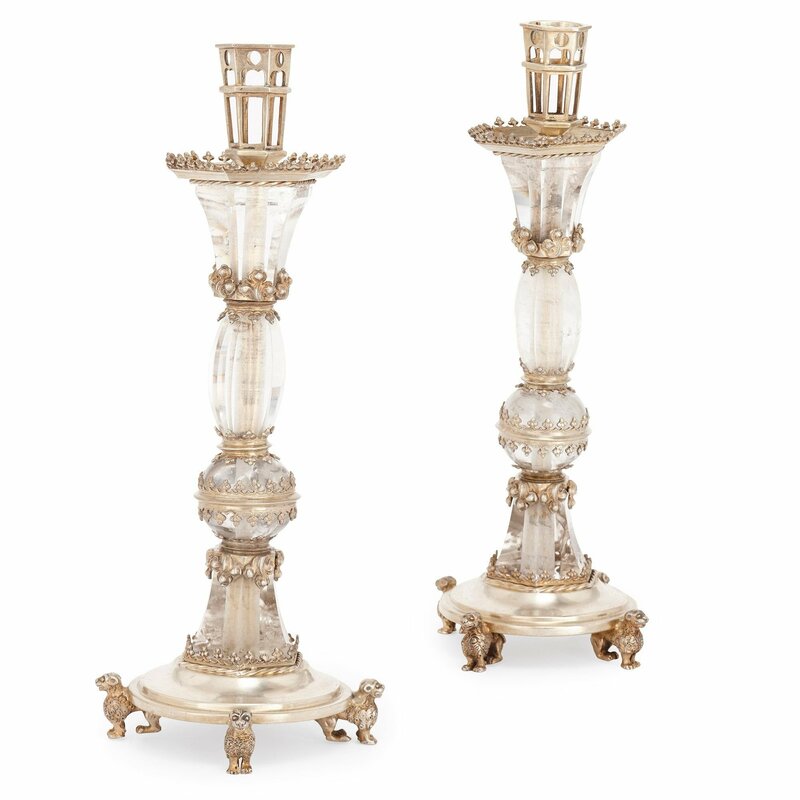 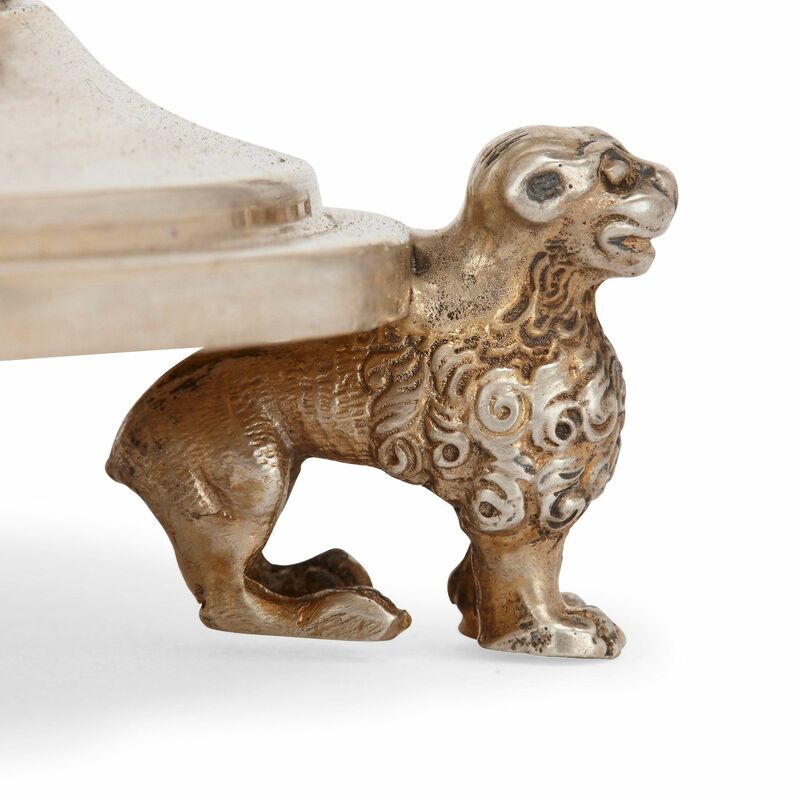 This exquisite pair of candlesticks, with delicate silver gilt decorations, would make a luxurious addition to the table of an exclusive interior. 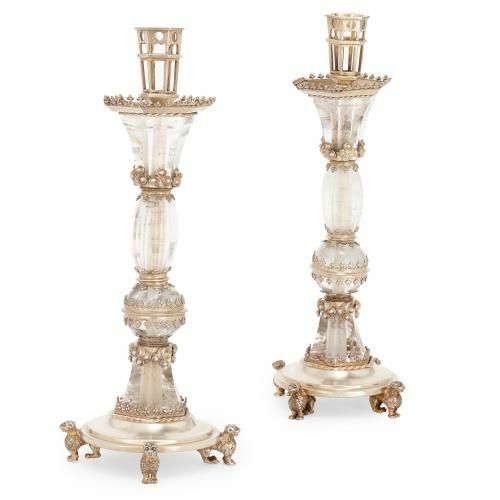 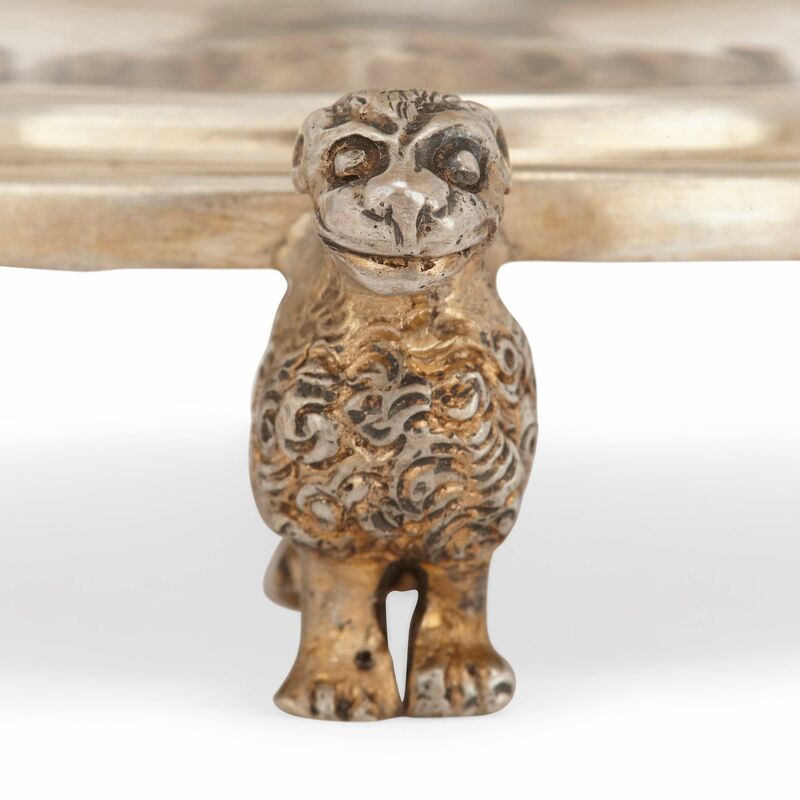 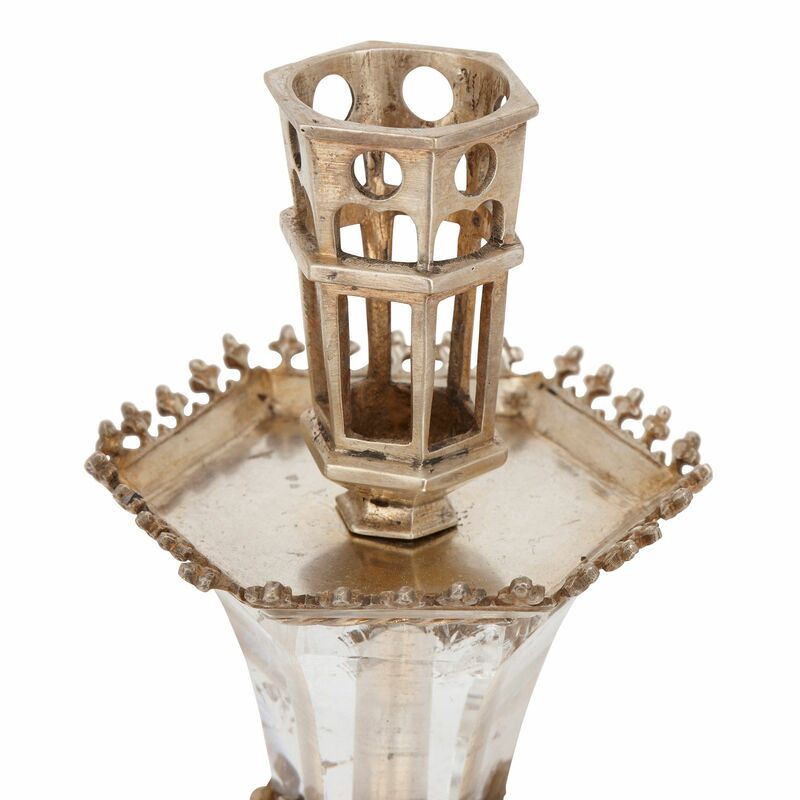 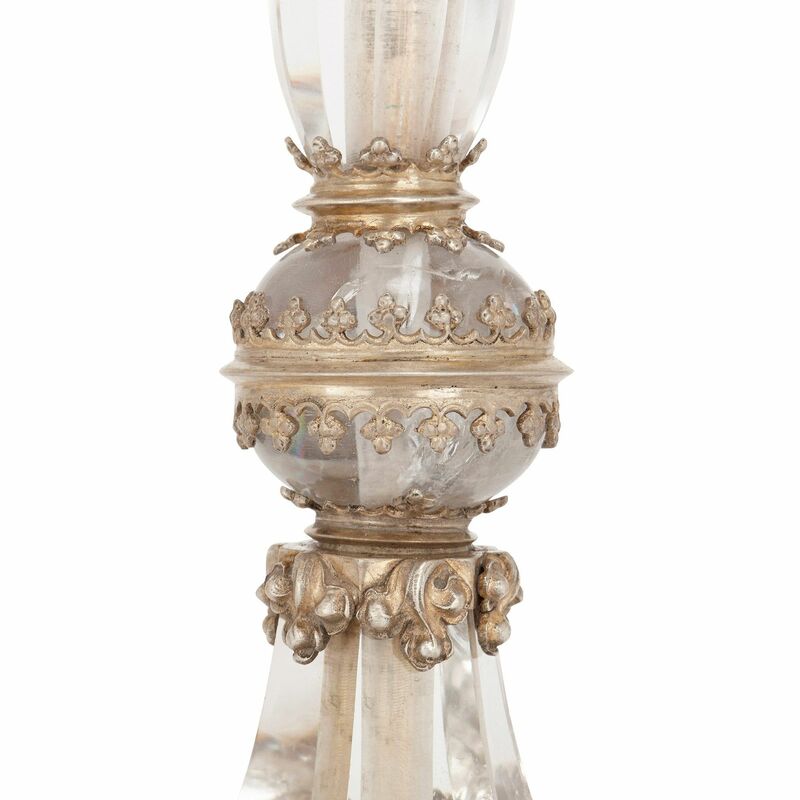 The bodies of translucent rock crystal and accented with silver gilt mounts, the mounts of a latticed decorative pattern and depicting small models of animals at the base and centre of the candelabrum; the bases marked, 'B.C.T. 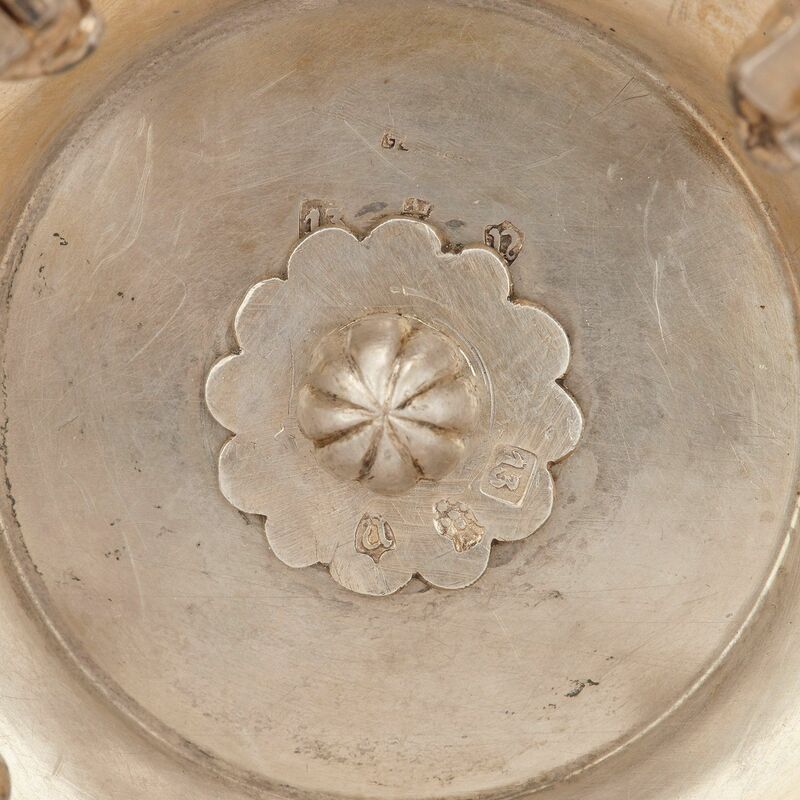 Co. Ltd.', '.925' and marked with maker's mark.